Another still life by Wells which plays with pattern, form and colour. The monochromatic ivories and blacks are lifted by the mauve ground and areas of soft, rich blue; and the curving shapes of the china and statuette are set against the straight lines of caddy, tray and picture. 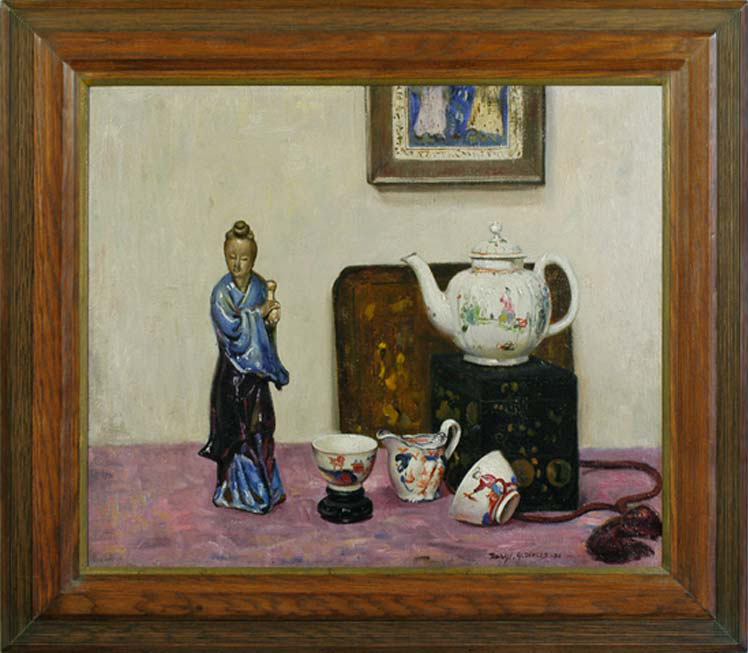 There is also a whimsical note in the little statuette, poised as though she is inviting the spectator to take tea.